You know how big a fan of coffee I am, right? I am also a big fan of having a little International Delight in the morning in my coffee while I am waking up. Ok, what I mean to say is while I am pinning all those recipes I want to make, places I want to go & in the summer ice cream treats I’d love to have to cool us down. I pour a little International Delight creamer in my coffee & am taken to my favorite place Cold Stone Ice Creamery, without having to wait for afternoon, ice cream & dessert. But, you don’t have to stop there! Did you know you can make some pretty awesome desserts with International Delight? & right now they are having a dreamy contest! #IScream4ID Let me tell you a little more! First off International Delight is bringing you your favorite Cold Stone Creamery ice cream flavors to coffee and they are celebrating by having a giveaway of FIVE $400. Grand Prizes to throw this summer’s ultimate Ice Cream Social! Now it doesn’t get any better for me having my favorite Cold Stone Creamery Flavors in my coffee every morning! & by mid day thinking of how many ways I can cool down with a treat made with International Delight. I put together a Pinterest board just to show you what I am talking about.Then you can say, ” I scream, you scream we all scream for ice cream!” along with me! Now it’s your turn to get virtually scooping, (pinning)! 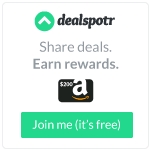 To enter International Delights Sweeps! 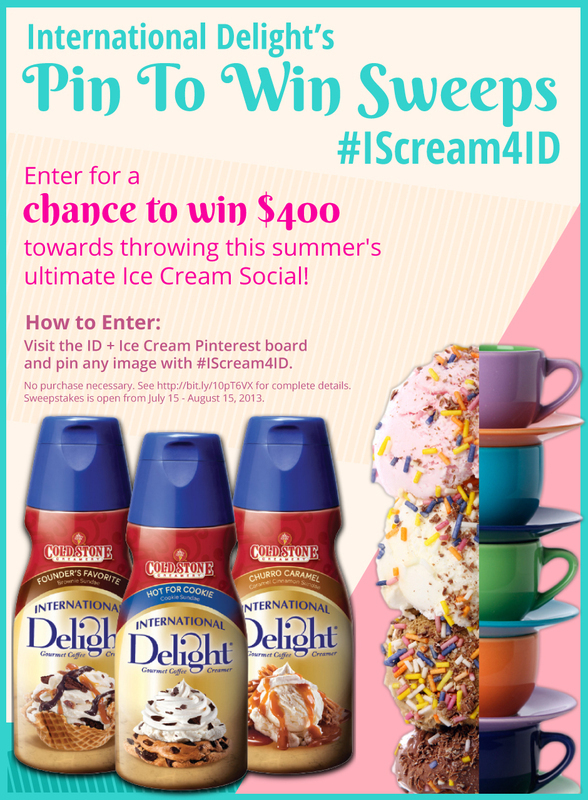 image using the #IScream4ID hashtag. Good luck! What would you need to throw the ultimate Ice Cream Social?